Angelica Maria Gallegos “ANGEL” (almost 39 yrs) met her milestones growing up and all seemed normal. She started school and did well in her first couple of years and suddenly her grades dropped. We never knew why, just thought that she would struggle more than other children. She graduated high school at 17 and started college at 17 but always had to work very hard to maintain grades. She earned two degrees during this struggle with VWM. It wasn’t until she started showing physical symptoms at age 26 (2004) that we realized something was very wrong. She started to fall, became lethargic, lost her balance easily; her body would bend and couldn’t straighten out. She also never had a regular menstrual cycle and menopaused in her mid twenties due to ovarian failure. This is also a symptom of VWM. We went to a few different neurologists and was treated for 4–5 years for MS. She continued to get worse and her symptoms no longer mimicked MS. Her neurologist quit on us and told us to take her to a super neurologist. I then took Angel to the Southwestern Medical Research Center in Dallas and after months and TONS of testing they told me “she does not have MS and we don’t know what she has”. They did however refer me to Dr. Juan Pascual who knew about VWM. He turned out to be the doctor that did the genetic testing to confirm his suspicions of VWM. I was devastated when we met to get the results (took 3 months) and he explained the rarity of this disease especially in adults. He told us that he only knew of 13 cases (at that time) and that there was no cure. He told me to take her home, make her comfortable, spoil her and cherish my time with her. That was 2009. I wasn’t sure I was hearing right so I asked, “Is this a fatal disease” and his answer was yes. I’m not too sure what else was said after that but Angel quipped back, “I should have bought a lottery ticket” because of the odds of getting VWM. She told me on the way home that she was happy to take this illness on as long as her brothers didn’t. She mentioned that one brother had 3 children that needed him and the other was so young that his life was just beginning and she had no children. She has faced this terrible disease with courage and grace. She has had so many hospital stays but always remains positive with a great attitude. She never complains or has pity parties. She has to use a wheelchair or walker at times and wears braces always but it doesn’t stop her. She wants to help everyone. With all these children that are facing this disease, she told me yesterday that she is an organ donor but wants to donate her brain as well when she earns her wings. Angel is our inspiration; she works hard and never gives up. I wish I had her strength — she makes me proud. Vanishing White Matter disease (VWM) is under the umbrella of Leukodystrophy. Since it is so rare there are no public research funds for this disease. The only funds are those raised by the families trying to save their children. This afflicts mostly children. There are very few adults with this disease because the children don’t make it into adulthood. Arda was born a healthy and sweet baby boy. He developed just like his older brother until age four. He loved to go to kindergarten, to play with children, and to swim and play football with his brother. In June 2015, he got a very high fever and experienced a seizure. After this incident, he began to have problems with his balance. 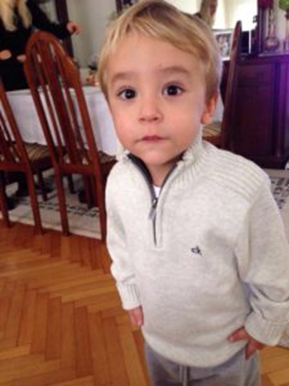 In September 2015, after countless doctor visits, an MRI confirmed Arda had VWM. 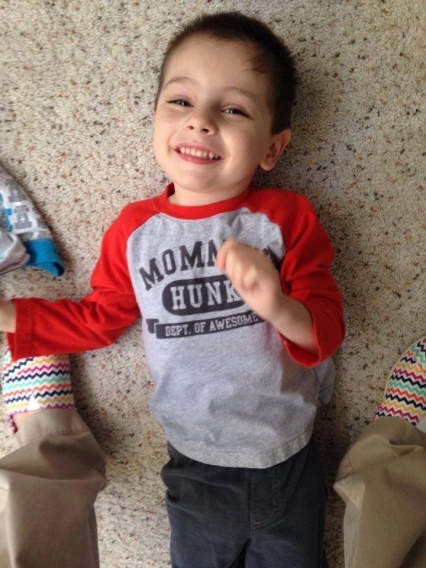 Since his diagnosis, Arda has lost his ability to walk and stand. There is no cure for this monster disease. It is heartbreaking to see my son deteriorate every day. All we can do is live in hope that one day a cure will be found. Emma Hope Gilbert was born a beautiful, healthy baby girl. She is curious, full of life and laughter, and has a contagious smile. At age two-and-a-half it was determined she was delayed in speech development. At age 4, her hands began to tremble. After contracting pneumonia, the shakiness in Emma’s hands increased and she began to frequently lose her balance. 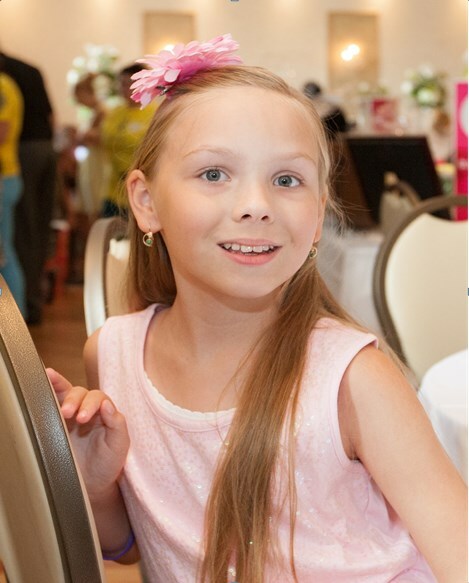 Emma was referred to Akron Children’s Hospital where an MRI was performed. The Gilberts’ world came crashing down as Emma’s brain scans were consistent with those of children suffering from a form of Leukodystrophy. Fifteen months later, it was confirmed that Emma was suffering from Vanishing White Matter. While she has lost her ability to walk, Emma remains stable in other areas. Her family has decided to make her life as special as possible by living each day to the fullest. Her family is working toward starting a non-profit organization in order to help fund research and to find a cure for VWM and other Leukodystrophies. Help us raise awareness and funds for Emma and Leukodystrophy. Isabella was 2 years old when my sister noticed that she seemed to stumble more than other children her age. Though her pediatrician believed Isabella would outgrow it, she did not. 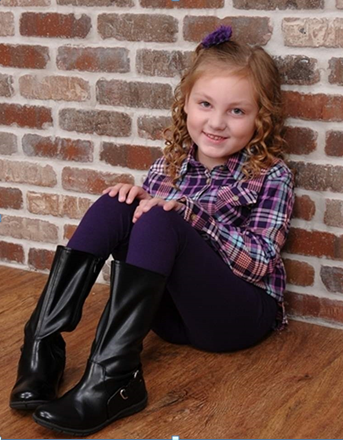 In 2009, at age 4, Isabella was referred to a neurologist. 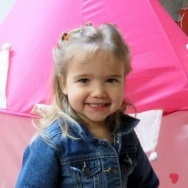 A few months later, Isabella was diagnosed with Vanishing White Matter. Isabella wears orthotics and struggles to physically keep up with peers. However, she’s as happy as can be and brings laughter to everyone, especially her cousins. There is no treatment or cure for VWM, but we are on the quest to find one. Isaiah was born healthy and as cute as a button. Just before his 2nd birthday, he started to fall while walking. With each day, his gait became more unsteady. Our pediatrician referred us to a neurologist at the Children’s Hospital in Kansas City. 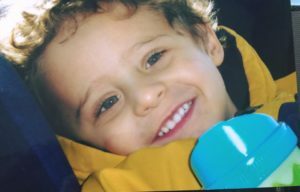 Isaiah went through a series of tests; both MRI and blood tests confirmed his diagnosis of Vanishing White Matter (VWM). Since his diagnosis, Isaiah has stopped walking, crawling, eating, and using his arms and hands for certain activities. He has had breathing problems along with severe muscle tightness, shaking (ataxia), and constipation. He has fought a long, hard battle but has maintained his sweet personality throughout all the pain. He loves to make people laugh and smile and his positivity is radiant. By loving me, he makes me a better person every day. He also reminds all of us to be strong. It is a true blessing to have so many people in our life that love Isaiah. Isaiah died on June 29, 2016, at age 5. 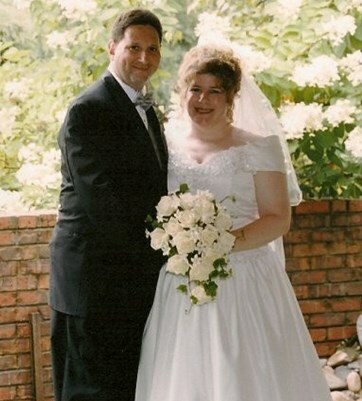 I first met Julie in November 2002 at a dance. The theme of the dance was ‘Fall in Love’ and that is exactly what I did. We married a year later. Julie was healthy when I met her and showed no symptoms of any disease. But soon after, I started noticing changes in Julie. Her speech and gait were becoming impaired. 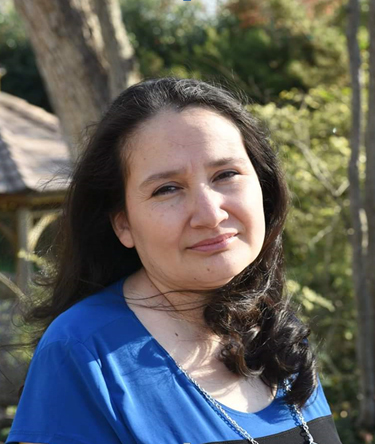 Julie was recommended to see a neurologist who suspected she might have MS; however, after a specialist’s diagnosis, it was confirmed Julie had Leukodystrophy. Julie’s health declined very rapidly-she stopped talking, had difficulty swallowing, and stopped walking. Julie had a heart of gold and was a wonderful person. Julie died in 2010. Matthew was born a sweet, healthy baby boy. In December 2007, while playing with his sisters and cousins, Matthew hit his head and became unresponsive. We rushed him to the hospital. After days of multiple tests, the doctors informed us Matthew had Leukodystrophy or Vanishing White Matter. We had no idea what the disease was or what to expect. Matthew began to loose his abilities: first his walking, then eating, and lastly his ability to speak. It was incredibly difficult to watch our son deteriorate before our eyes. In addition to VWM, Matthew suffers from severe scoliosis and bone loss. Though Matthew has been hospitalized in critical condition on several occasions, he has defied all odds and remained a strong survivor. Matthew is a beloved hero and miracle. We will never give up fighting for him as he grows older. Until January 22, 2016, two-year-old Micaiah was a completely normal child. She was an unusually sweet and cheerful child, who brought a lot of sunshine into our family. On January 22, 2016, Micaiah suddenly became unable to walk without assistance. We took Micaiah to the doctor, who stated that it was probably just some residual inflammation from the trauma of her fall and to just give it some time. X-rays revealed no broken bones. Micaiah did improve and was able to walk again, but not like she could before. Her walking was unsteady. After a return trip to the doctor, Micaiah was referred to a wonderful pediatric neurologist, who did an extensive history and examination. She told us some options of what might be going on, and then ordered an MRI and some bloodwork. All the bloodwork came back normal. After Micaiah had her MRI done, we had a peaceful weekend because they let us take Micaiah home afterwards and never hinted that anything was wrong. Her appointment had been early in the morning, and we didn’t hear from the doctor’s office that day. We were going with the theory that no news is good news. However, Monday we got a call saying we needed to come right in to discuss the results of the MRI with the neurologist. We knew in our hearts that it was not going to be good news, but still we hoped and prayed that it would be something that could be fixed. The pediatric neurologist told us that Micaiah had leukodystrophy, but she didn’t know which kind. Her symptoms seemed to be pointing toward the extremely rare vanishing white matter disease (VWM). On June 28, 2016 we found out that the blood tests confirmed that Micaiah has VWM disease. We have been blessed that we were able to receive a correct diagnosis in just six months. So many times it is misdiagnosed at first. Our lives changed irrevocably that day. Our lives are a balance between letting Micaiah enjoy life to the fullest, and protecting her from trauma and fever, as these can accelerate the disease. We have rivers of tears, and an abundance of hugs, kisses, and love. Micaiah loves life and finds beauty in many simple things. Micaiah has a special and uniquely sweet personality. She is little, but loves with every cell in her body. It was February 2008, Michael was 18 months old when he got a simple cold that he just could not shake. My husband and I took Michael to Sick Kids Hospital in Toronto. After a blur of tests, no definitive diagnosis could be made and the doctors were very concerned. Fortunately, the Director of Neurology was able to arrange for more testing and a diagnosis was finally made. We got news we never expected or wanted to hear: Michael has Vanishing White Matter (VWM). Though I remember little from that meeting, I do remember the doctor telling me we would be fortunate if Michael reached his 10th birthday. Reese’s diagnosis has been a long journey. When Reese was born, she was a healthy child who developed typically until the age of 3. One morning, Reese woke up and could not stand up. After she spent a week in the hospital, we received a false diagnosis for a condition we were told would improve over time. Relieved that she was going to be okay, we left and waited. Indeed, her condition did seem to improve until she had another setback. In August 2012, we received the dreaded news our daughter was diagnosed with VWM and would have a short life. We would have to watch her deteriorate and never know when we will lose her. Despite every challenge Reese has faced, she has been strong. She is a happy, fun-loving little girl and she is what gets our family through the hard days with her smiles and positive attitude. Reese doesn’t let the fact that she is in a wheelchair stop her from doing things she loves. We don’t want this disease to stop her from the life she deserves. Please help us find a cure. In February 2013, our 2-year-old son Sam was playing on the bed, when he fell off onto the carpet. He was unresponsive. When he regained consciousness, we tried to stand him up, but he collapsed. We knew something was terribly wrong so we called an ambulance. At the hospital, doctors suspected a hip sprain, and sent him home. After 6 weeks, several visits to the doctor, and minimal improvement in Sam’s walking, we insisted he undergo further tests. After a concerning CT scan result, Sam was sent for an MRI. The results were the worst news we could ever imagine. Sam has a very rare brain disease, Vanishing White Matter. There is no treatment or cure. 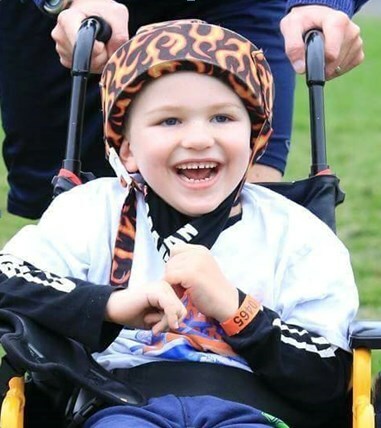 Since his diagnosis, Sam has completely lost the ability to walk or stand independently. He has severe hand tremors and his speech is slow. The last three years have been a roller coaster of emotions. We are thankful for every day we spend with Sam: he is joy personified. He smiles, laughs, and shows affection with ease. How we will ever be able to live without him, we can’t begin to imagine. But every day is also a struggle. As any parent with a disabled child will tell you, it is both mentally and physically exhausting. It is a life of extremes. The tears are always just under the surface but at the same time we are happier than ever before. This constant sadness is at odds with a heightened ability to take joy from life and appreciate all it has to offer. Life has to be lived no matter how long we have on this earth. 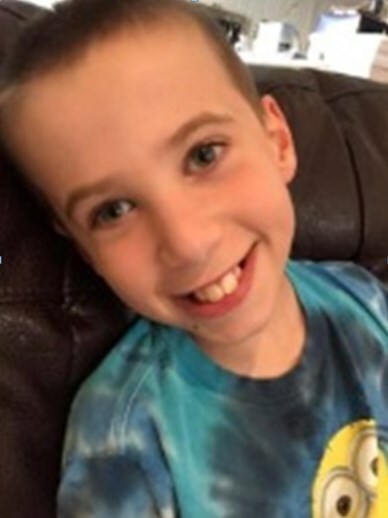 Since his diagnosis, Sam has been to his first concert (Train — his favorite song is ‘Drive By’) and met the band, getting a big hug from the lead singer much to Sam’s delight. He has eaten pizza in Naples, ridden in a gondola in Venice, met his favorite F1 driver and sat in his race car, celebrated his birthday in Budapest, sat on Santa’s lap in Lapland, and even met the Duchess of Cambridge. He has experienced more in his 5 years than most do in a lifetime. The lessons we have learned from Sam will carry us through the coming years. Every day is a gift. What is important in life is so clear for us now. All we can do is try to live in the present and take each day as it comes. We first noticed that something wasn’t quite right with Sheana when she began to walk. After many years of false diagnosis, in 2012, it was confirmed that Sheana had WWM. This marked the beginning of her journey. Sheana’s ability to walk has declined and she is now fully dependent on a wheelchair. 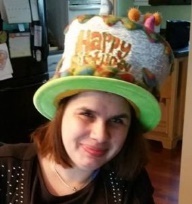 Despite her handicap, Sheana has remained joyful and positive. She loves to travel, to play on the computer, to read, to do basic math, and to socialize. Sheana has defied the odds and turned 35 years old in September 2017. This picture, taken at the 2014 United Leukodystrophy Foundation (ULF) conference in Baltimore, captures her personality perfectly.